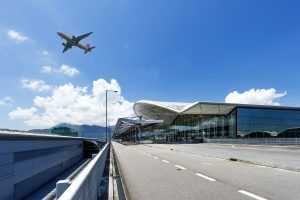 The Hong Kong International Airport (HKIA) has introduced a semi-automated robotic arm in departure baggage loading and reconciliation in 2017. EBSL, being an RFID technology expert, invented and implemented a bespoke RFID device that integrates with this robotic arm. The RFID device can automatically identify and verify every baggage loaded into the target flight and accurately records the specific ULD (unit load device) that houses the baggage – an important feature to comply with the International Air Transport Association (IATA) Safety and Security Requirements. The increased automation in the baggage handling process also helps enhance workplace safety by reducing labour-intensive work. HKIA is the first airport in the world to pioneer this technology to achieve automated baggage reconciliation.